Taking Flight: Loon Release Photos and Video Is HERE, Along With Release of Red-tailed Hawk, Broad-winged Hawk and Merlin! Loon Release Photos and Video Is HERE, Along With Release of Red-tailed Hawk, Broad-winged Hawk and Merlin! What a whirlwind of a week it has been. 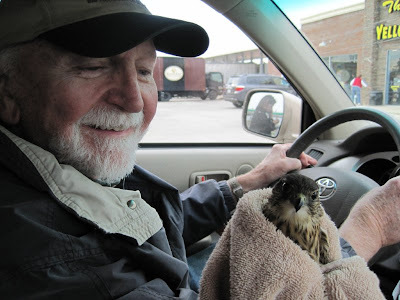 Less than a week ago Don and I threw a few things into the car along with a Red-tailed Hawk, a Broad-winged Hawk, a Merlin and a very famous Common Loon from Duck Lake and we were off on a fast trip to the Gulf of Mexico. The trip began just for the Loon, but we had several other birds that were ready for release but were not in the right climate. Ordinarily we would hold these birds over for the winter and release them in the spring. That means several months more of captivity for them. Since we we were traveling south, they just hitched a ride with us. To say we had a full car is an understatement. 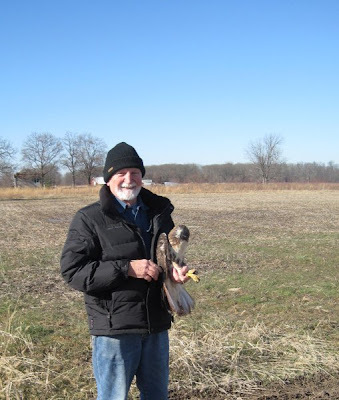 We released the Red-tailed Hawk in Southern Illinois. 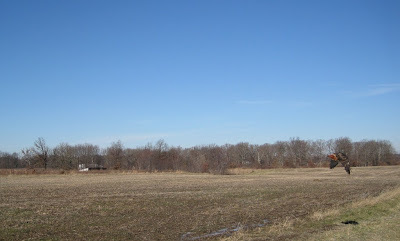 Red-tailed Hawks move a bit south in winter. He will have easier hunting in Illinois and will likely be back on his home territory in the spring. He was an adult Red-tailed Hawk from the Rib Lake area. He was hit by a car and came in with a wing fracture on October 16th. The Merlin, a beautiful small falcon, was released much further south near the Florida, Alabama line. He was also hit by a car and injured in the fall. Broad-winged Hawks migrate to Central and South America, but a few stay in Florida. We thought it best this young male bird spend the winter hunting in Florida. Broad-winged hawks have a wide prey base including insects, reptiles and frogs as well as rodents. He was released in an area of Florida where Broad-winged Bawks were reported recently. 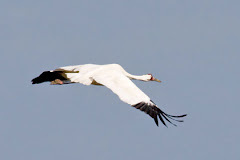 He and the others will catch the northern migration in April. This hawk left the box so fast I never got a photo. It seems he agreed with our decision to release him. In less than a week we are home with lots of stories including snowstorms and closed roads in Tennesse. We left many miles behind us. Since it is so late tonight and we are exhauted from traveling I will sign off for tonight and post the loon story tomorrow. I promise it is worth the wait.